Adam Leu has the height of an NBA small forward, 6′ 7″, and wasn’t satisfied with just a standard tiny house. 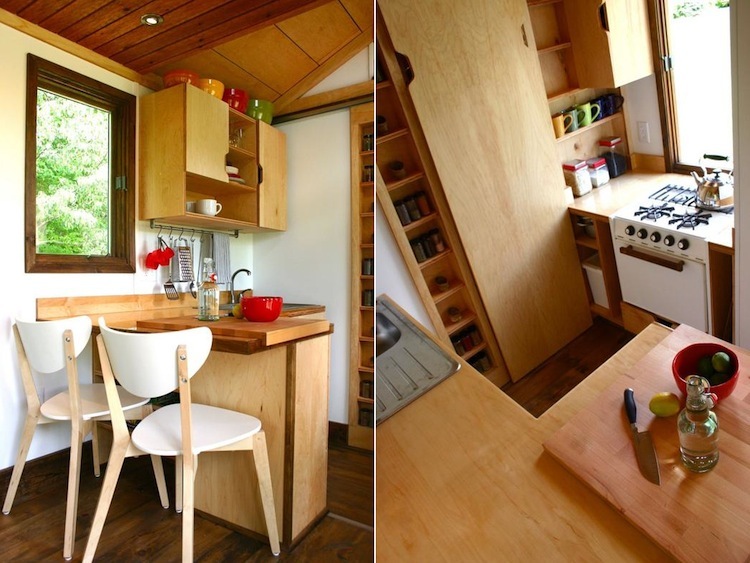 So he modified a couple plans by tiny-house enthusiast Michael Janzen and created the Tall Man’s Tiny House. It’s 21-feet long, 13′ 3″ tall (total, not the interior), and includes three roomy segments of seven feet. 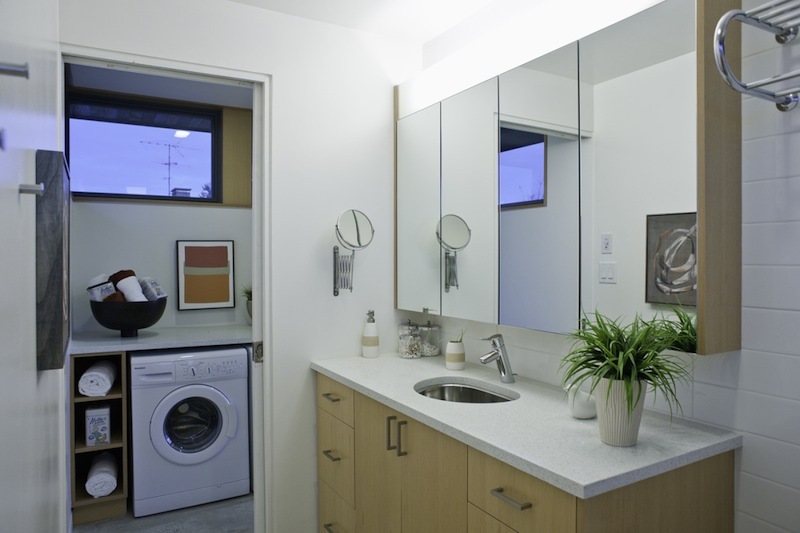 This place includes one bedroom, one bathroom, a loft, and an open living and kitchen room, as pictured. 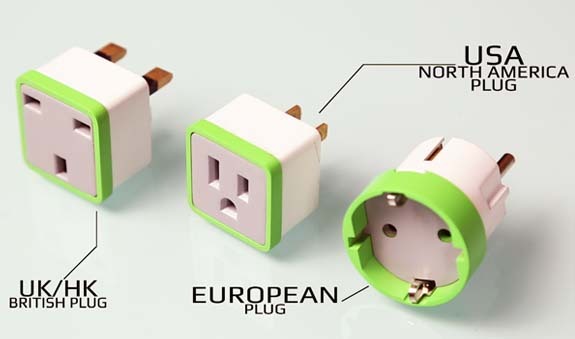 The latest bright idea for home lighting. Savings are as easy as changing a light bulb. Green features in a wheelchair-friendly footprint. DOE released new efficiency rules for washers. 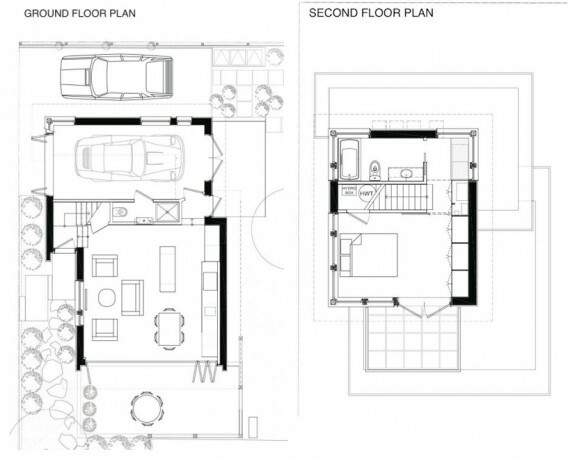 The prefab behind the IKEA house myth. Subsidies spur home solar power. When I first mentioned the Mendoza Laneway House, it was one of the first laneway homes in Vancouver under the city’s EcoDensity program. 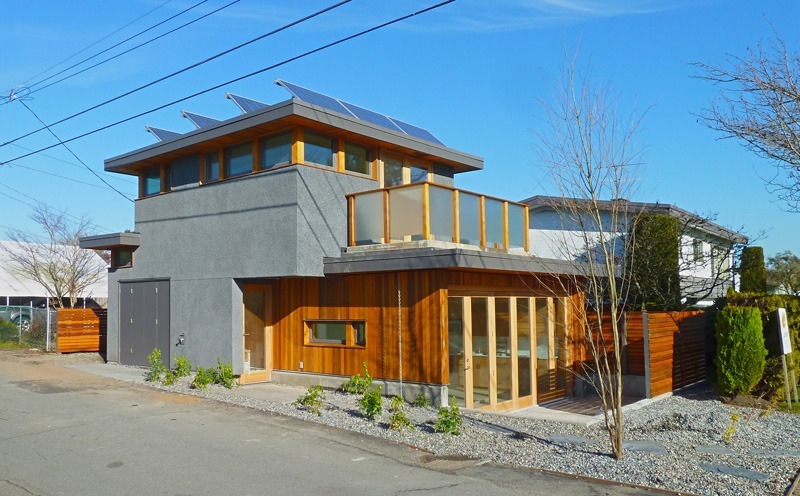 The company behind that efficient SIPs home, Lanefab, and its partners, designer Bryn Davidson and builder Mat Turner, have been busy and recently completed the first Net-Zero Solar Laneway House on a corner lot at 57th and Vivian. It’s beautiful inside and out. 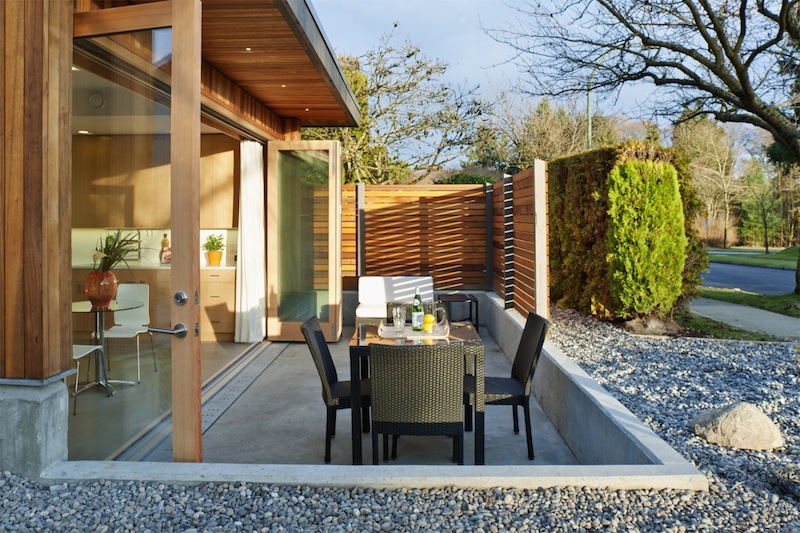 The home features a warm exterior palette of black rock stucco and cedar and was built with triple-glazed Cascadia windows, 1′ thick SIPs, and 18′ multi-fold doors that create a nice connection between the great room and the outdoor patio. 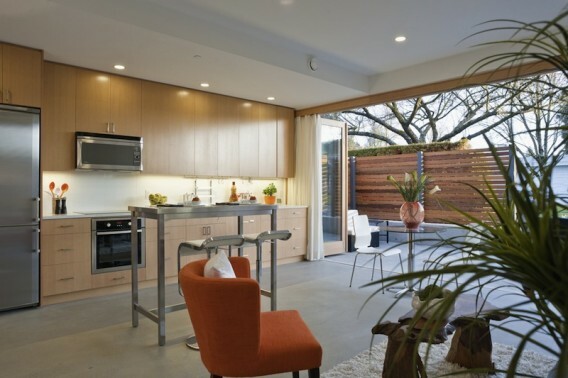 Other green features include LED lighting (95% of all lighting), a 500-gallon rainwater collection tank, WaterCycles drain water heat recovery, a Venmar high-efficiency HRV, an air-source heat pump for space heating and water, and a Cent-a-Meter whole house energy monitor. In addition, the home is net-zero energy with the help of a solar photovoltaic array of 12 panels. 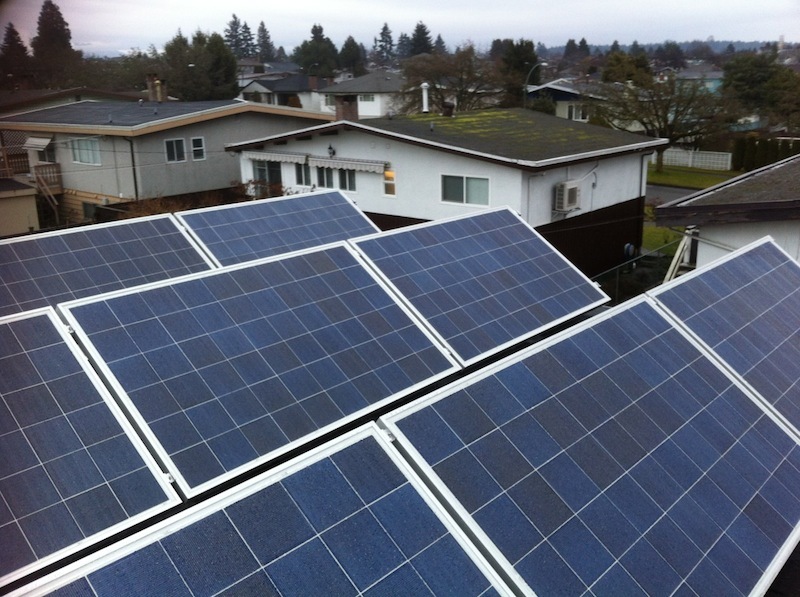 The system generates extra power in the summer, which is sold to the grid, and draws on the surplus during cold winter months. 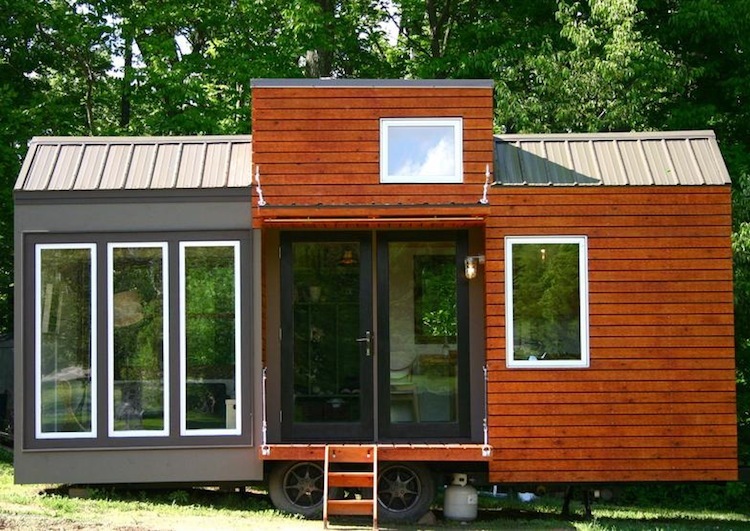 The home has one bedroom, two bathrooms, and 1,020 square feet. The total construction cost was about $320,000, which Davidson assures me is affordable for the likes of Vancouver. 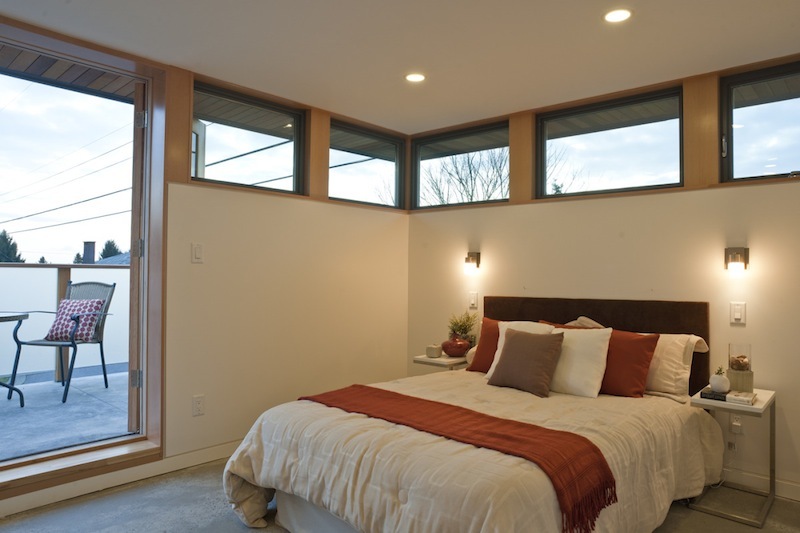 As with other Lanefab projects, this home was documented with tons of construction and other product photos in a Facebook album. 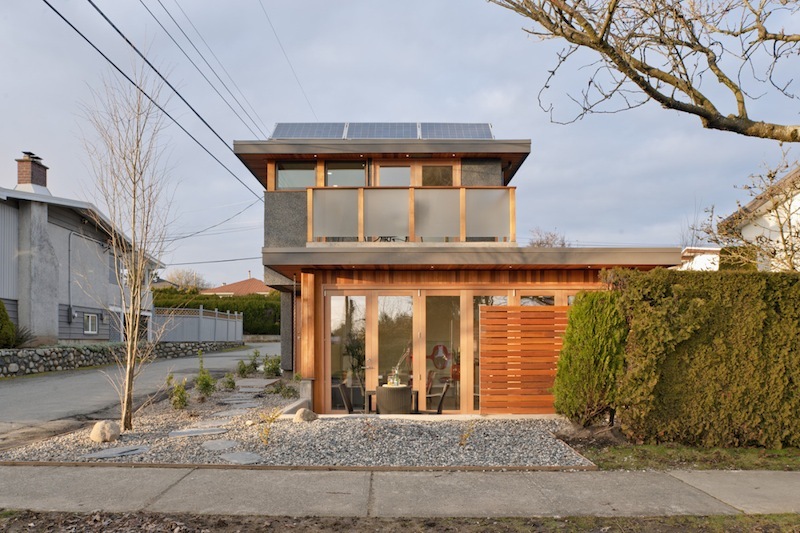 [+] More about this Net Zero Solar Laneway House in Vancouver. Credits: Dylan Doubt Photograph; Lanefab (floor plans). Seriously, our MegaLab is bursting at the seams with super awesome solar stuff! One of the latest to arrive is a Power-One Aurora 10.0 480V commercial scale inverter! 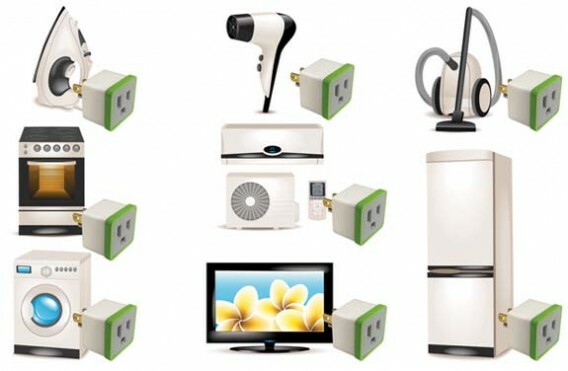 Not only is this inverter efficient, it’s stylish too. With integrated DC & AC switches, this three-phase inverter is uniquely designed to control the performance of PV panels, especially during periods of uncertain weather. (We are also really happy to receive the 10.0’s single phase little brother, the “3.0”! It’s just as stylish as the big 10.0, but smaller.) But Power-One does more than build beautiful inverters, they also make AuroraVision, precision monitoring equipment for larger systems. 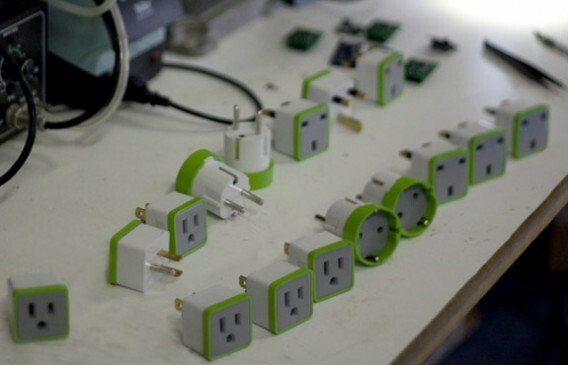 Power-One’s.